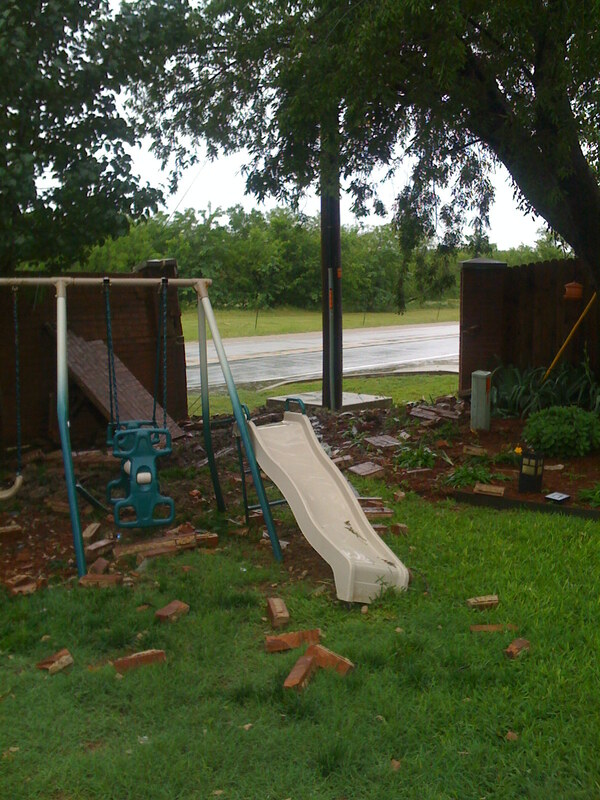 Shannon and I went to stay on the boat last night to get away for a while and we get a call from Keller PD at 6 this morning saying that some drunk had driven through my brick fence into the back yard. Lovely. To heck with it all, I’ve got my raingear on and headed to see the Rangers play this afternoon. The mess can wait another day or two to clean up. By the way, the Indians pulled off a win last night and the boys are sitting at home right now waiting on word on when and where game 3 will be played. I’ve got a couple of parents calling me to let me know so maybe I can go see a double header today. This entry was posted on Saturday, May 16th, 2009 at 12:17 PM	and posted in Baseball, City of Keller. You can follow any responses to this entry through the RSS 2.0 feed.